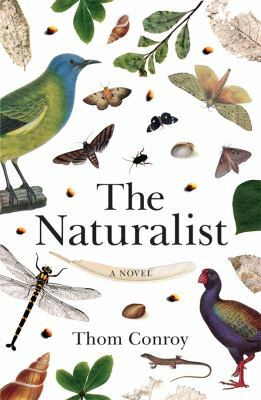 The naturalist is a moving account of the life of Ernst Dieffenbach. A revolutionary who believed in universal equality, Dieffenbach spent most of his life in exile from his native Giessen, and as an outsider from the various groups and organisations he became associated with. Even the Ethnological Society of London, which he co-founded, had no office for him, as he was a ‘foreigner’. Dieffenbach travelled to New Zealand on the Tory as a naturalist with the New Zealand Company. But he rapidly became alienated from the Wakefields, who were headed to lay claim to New Zealand with no mandate from the Crown. He travelled extensively in New Zealand – describing flora and fauna, compiling a Maori dictionary, and even being one of the first two Europeans to climb Mount Taranaki. He loved the country and made many friends amongst the Maori he met and the whalers who had apparently reached a peaceable co-existence with them. But as all decisions were being made solely for pecuniary benefit, he saw nothing but disaster ahead the way the colony was being established and the Maori inhabitants treated – he could see ecosystems and species disappearing and world views being lost. Initially I found Conroy’s structure – passing backwards and forwards in time – a bit contrived, but eventually thought it was an effective way of telling the story of a man who spent most of his life wanting to be somewhere – and some time – else. When in London he longed to return to his home of Giessen, and later also longed to return to his beloved New Zealand – believing he could mediate in the conflicts that were erupting in the young colony. Conroy effectively captures the New Zealand early arrivals from Europe must have found, and later the energy and excitement of the young colony. While reading The naturalist I really felt the frustration of Dieffenbach, who believed he could always clearly see what was wrong but was never in the ‘circle’ with the power to put things right.